A great “shake out the wiggles” game. 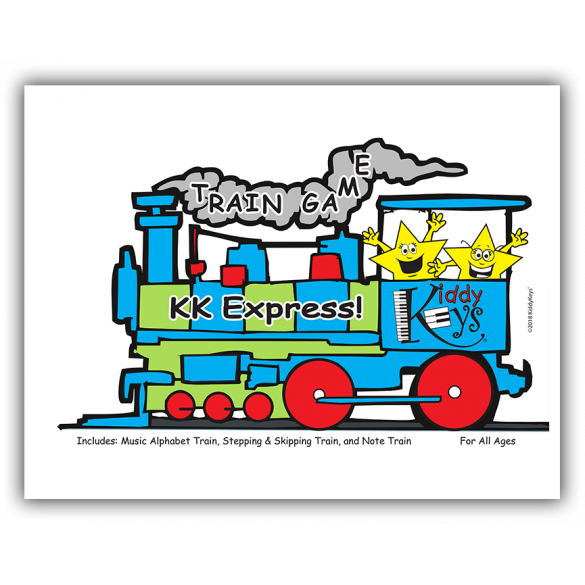 The set includes laminated cards depicting a train engine, caboose, and train cars. 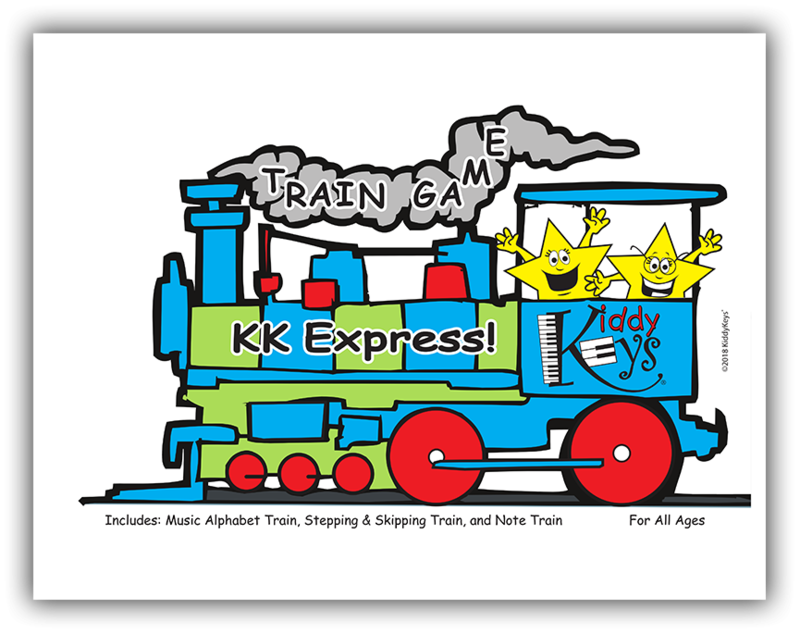 Each train car features music alphabet letters, treble and bass symbols, line and space notes, or note durations (quarter, half, dotted-half, and whole notes). Directions for learning and fun are included. The cards can double as flashcards for review of colors and letters names. All aboard the KiddyKeys train! 8.5" x 11" sized cards, 39 cards total.